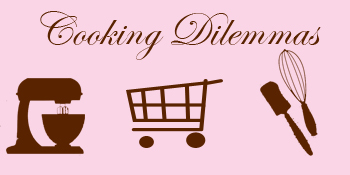 It is another cooking dilemma Friday. Ask me your cooking and entertaining questions. Remember, no question is too small so feel free to ask for tips, suggestions and advice. Ask away by leaving your questions in the comments. My daughters have been cooking with me quite a bit this summer. They all have their recipe journals, and they sit around the counter and we have “class”. At 11, 10 and 7 they are all at perfect ages to participate in various kitchen tasks. 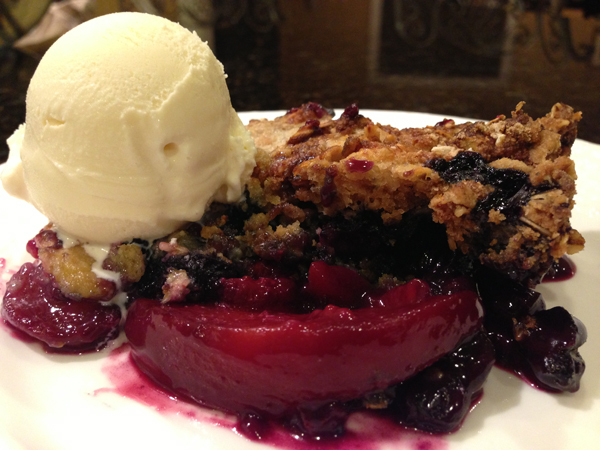 Last night, we experimented with making a mixed fruit cobbler. We did not have a recipe, just started adding things (and I wrote everything down as we went along, knowing if it turned out well there would be a blog about it today). What makes this cobbler unique and so delicious is the addition of the Greek yogurt to the fruit. I started adding yogurt to my fruit strudels and in some of my fruit cakes in lieu of sour cream. The tanginess of the yogurt really escalates the flavors of the fruit and adds creaminess to their texture. For the crumble, we decided to use buttermilk in lieu of eggs as a binder, as we were looking for more of a crumb crust as opposed to a biscuit texture. And, by pulsing only half of the oats in the food processor, you still get to see the whole oats in the crumble and you can taste the crunch element they add. Fresh berries and peaches are in abundance now, but you can certainly substitute frozen when the seasons change, and substitute any of your favorite fruits. In the fall, this would be lovely with apples and pears. Place all the fruit in a large bowl. Add the flour, sugar and yogurt and stir to coat the fruit completely. Pour into the prepared pan and set aside. In the bowl of a food processor, pulse half of the flour, half of the oats and the butter until the texture resembles pebbles. Pour into a large bowl and add remaining flour and oats, baking soda, baking powder and brown sugar. Stir to combine. Add the buttermilk and mix again (mixture will not be very wet). Place the crumble mixture evenly on top of the fruit and place in a 350 degree oven for 35-45 minutes. The cobbler is done when the fruit is bubbling and the crust is a rich golden brown as you see above. The Elegant Occasion Note: This is delicious served warm (let it rest for 15-20 minutes before serving) or even cold out of the refrigerator. Either way, top it off with vanilla ice cream or cinnamon ice cream. On a trip to Italy for my husband’s 60th birthday we happened upon a wonderful little restaurant sitting high on a hill in Tuscany overlooking vineyards. One bite of their Linguine Vongole and we were speechless. Words truly could not describe how wonderful this dish was, as we tasted the sea in its purest form. The restaurant quickly became our special place for lunch and dinner during our two-week stay. And each time we visited we ordered this dish, never tiring of it. I have never had clam sauce that magnificent since. But, it does not stop me from making it often at home. The Manila clams make all the difference, so if you can find them, by all means use them as they will give the sauce an extra depth. Fill a large pot with water and bring to a boil. While waiting for the water to boil, begin making the clam sauce. Scrub the clams in cold water being sure to rinse away all the sand. Place the clams in a bowl. Place the olive oil and butter in a sauté pan over medium low heat, until the butter melts. Add the garlic and sauté until just translucent. Add the clams to the pan pour in the clam juice and cover the pan with a tight fitting lid. Raise the heat to medium and let the clams steam open in the butter/oil/clam juice broth (approximately 7-10 minutes). Salt the boiling water and add the pasta, cooking to package directions. When the clams have all opened (be sure to discard any clams that have not opened), add the garlic salt and taste the broth. Adjust the seasoning to taste and add the red pepper flakes. 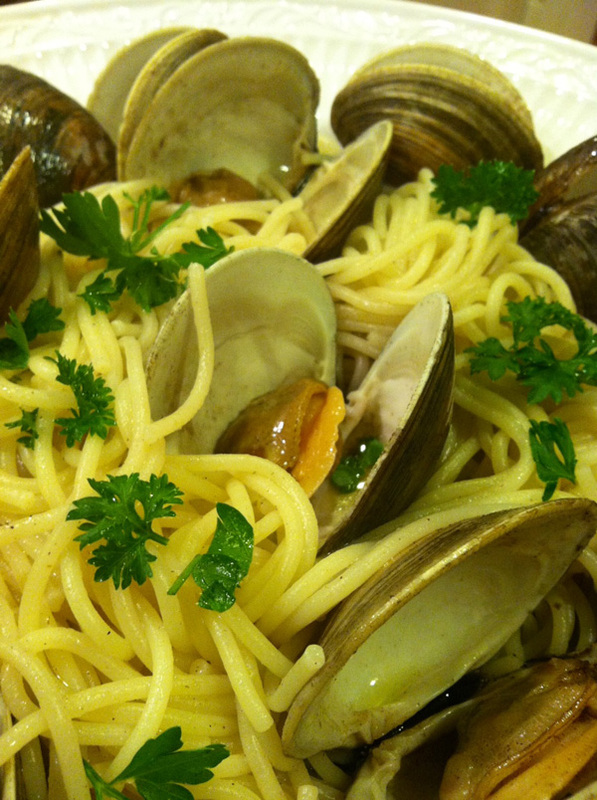 Drain the pasta well and then pour the spaghetti into the pan directly with the clams and broth. Toss together over low heat so that the broth coats all the strands of pasta. Add the parsley, toss again and serve. Today you have the opportunity to ask me your cooking and entertaining questions. No question is too small so feel free to ask for tips, suggestions and advice. This dish is beautiful to look at, and absolutely delicious. What could be tastier than sweet summer corn mixed with fresh summer veggies and herbs! I make it a lot during the summer as the kids love it too. Have leftovers? Add it to your cornbread recipe or use it as a topping to your summer corn chowder. Heat butter and olive oil in a skillet, add garlic and let it soften. Add jalapeno pepper and red bell pepper-cook 3-5 minutes until softened. Add scallions and continue to cook for one minute. Add the corn, garlic salt and pepper, and sauté for five minutes. Remove from heat and add honey, lime zest and lime juice and dill. Toss the corn and transfer to a serving bowl. The Elegant Occasion Note: This corn can be served hot or at room temperature, and pairs perfectly with fajitas, grilled marinated flank steak or grilled fish.